Hello dear friends, today I am gonna show you what I have purchased at my local drugstore. 💗I am gonna talk about my new foundation. 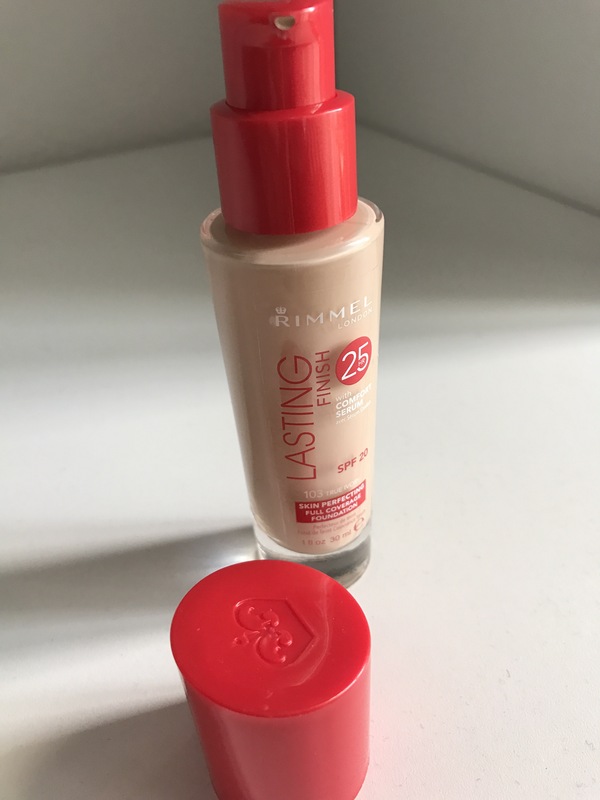 I didn’t hear anyone talked about this foundation and it is all about 💕Rimmel Lasting finish foundation. The packaging is glass bottle with pump. And it has 20 spf which is good because I am pale and I can’t wear foundation without spf. I love the fact that it has comfort serum as well. It says it is skin perfecting full coverage foundation. It has 30 ml. Standard ml. It is dermatologically tested and made in London. I was testing it on my arm in drugstore and it looked amazing. Before this one I tried True Match but they didn’t have my shade. I am Ivory shade and I couldn’t find that one so I saw this one and tried it. It has heavier texture it is not that liquidy as my Fit me foundation. Has more coverage. It is definatelly medium to full coverage. Smells beautifully not floral just fresh. 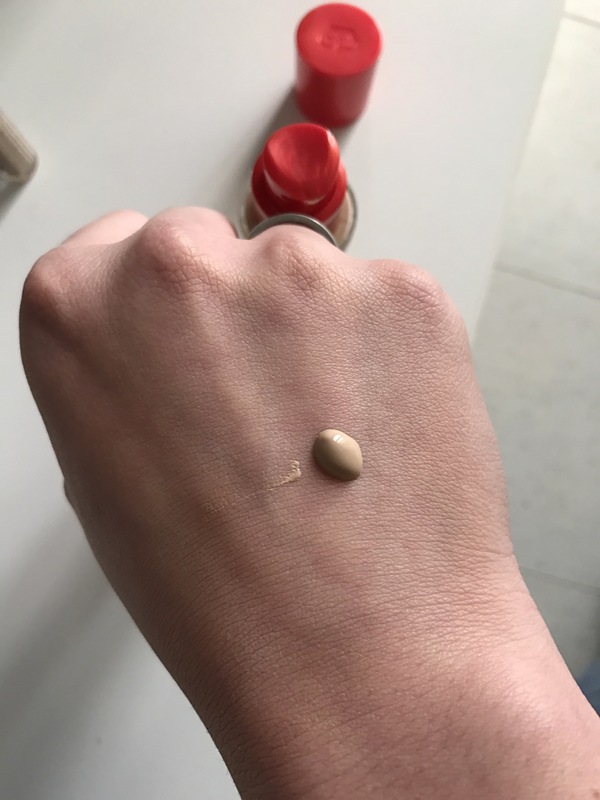 Love the consistency of this foundation. And has a pump which is very important. 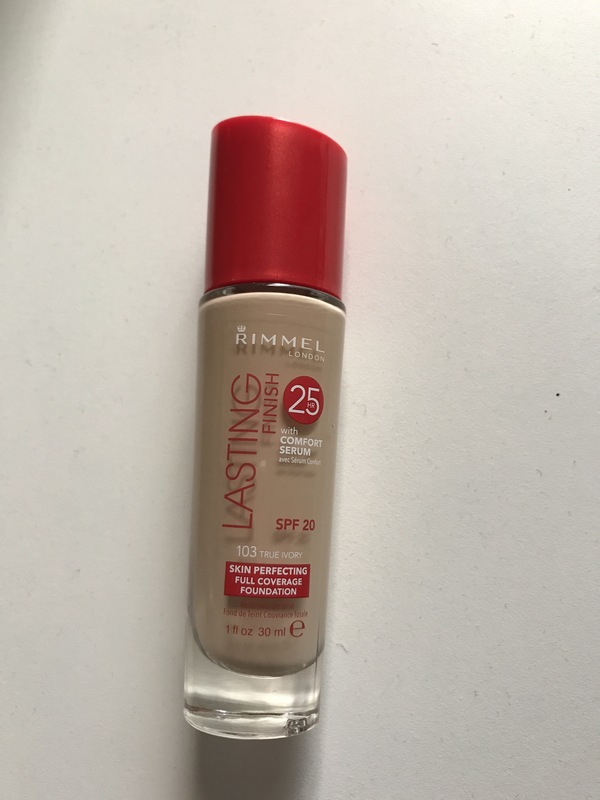 Here is a photo of the Rimmel Lasting finish foundation. This is photo of the consitency of foundation. It is good for dry skin because it is not matte one. It has nice coverage with lominous finish to it which I love. 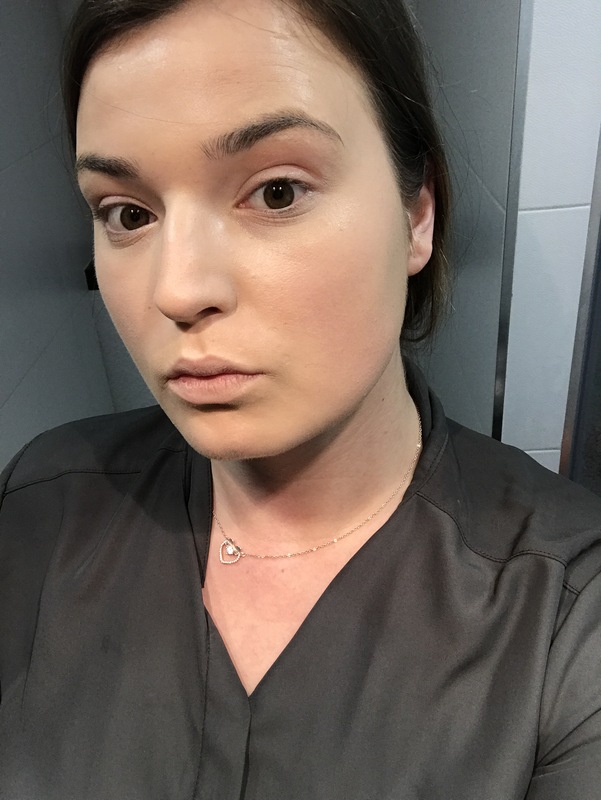 I can’t wear matte foundation for every day only when I have something important I wear matte one with good base unter it. This is coverage of one drop from the earlier photo. It goes a long way. Very lominous and healthy looking formula for dry skin. It might be good one. For now I think all the best. And I am in the shade 103 True Ivory. 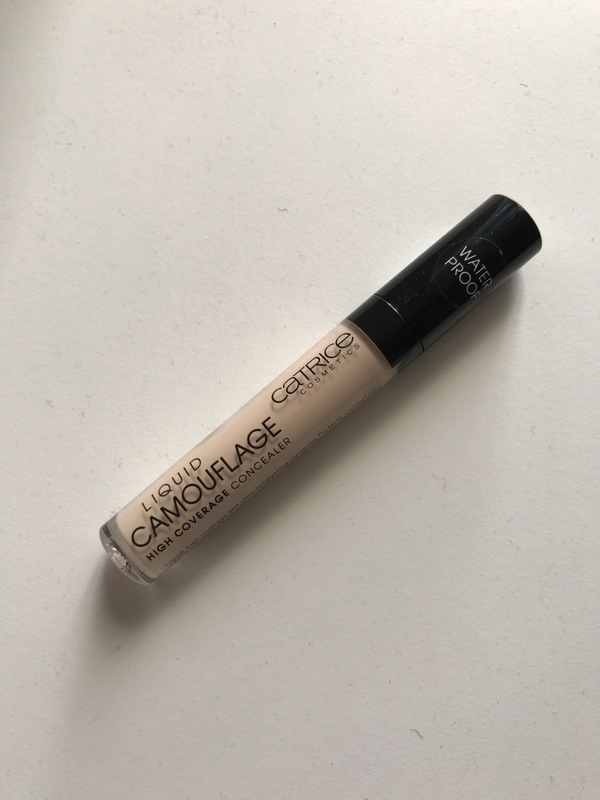 💗Second item I bought in drugstore was this concealer from Catrice Liquid Camouflage high coverage concealer. This was raved on youtube and it is sooo cheap and affortable. I really love the packaging it is hygenic and has aplicator just like liquid lipsticks. I really love the formula it is not drying and looks healthy. It is said it is full coverage for me it is builadble but more medium coverage. It is dermatologically tested and waterproof. Also can hide tatoos and dark circles. I have to test that to say it is true. Also it is made in Italy and has 5ml. It can lare and also you are supposed to ad some dabs and spread and you are free to powder it. I am in love with the idea of this concealer. I wish I will love it too as others on social media. 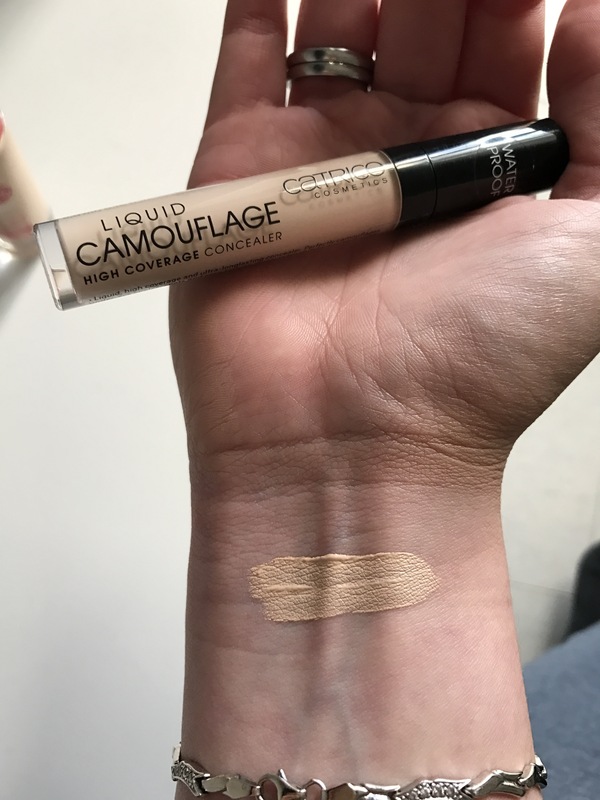 The coverage is decent and none drying formula. It looks pretty natural and smells nice and fresh. The aplicator is amazing. 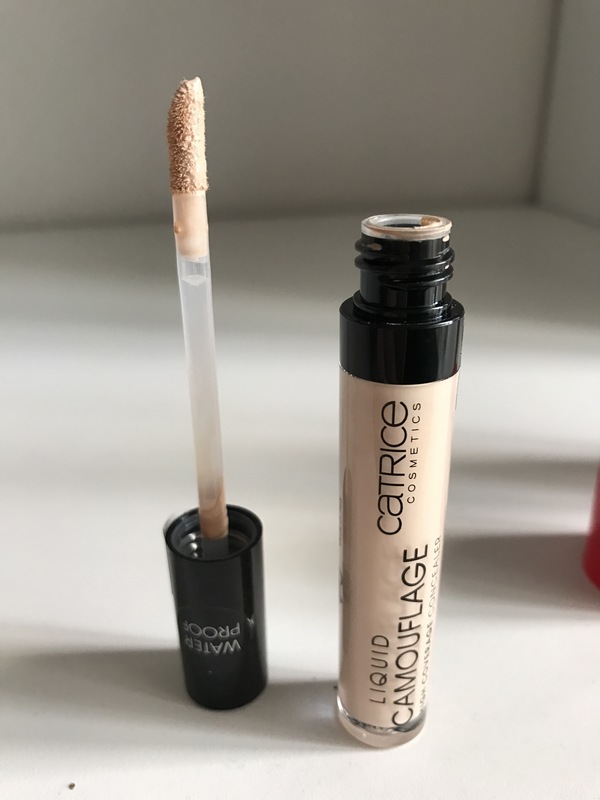 I am sure Catrice has some cool stuff and very affortable too. Thank you for reading. Did you try these products? What are your thoughts? Please let me know in comments. I am amazed of the price and quality of these two. 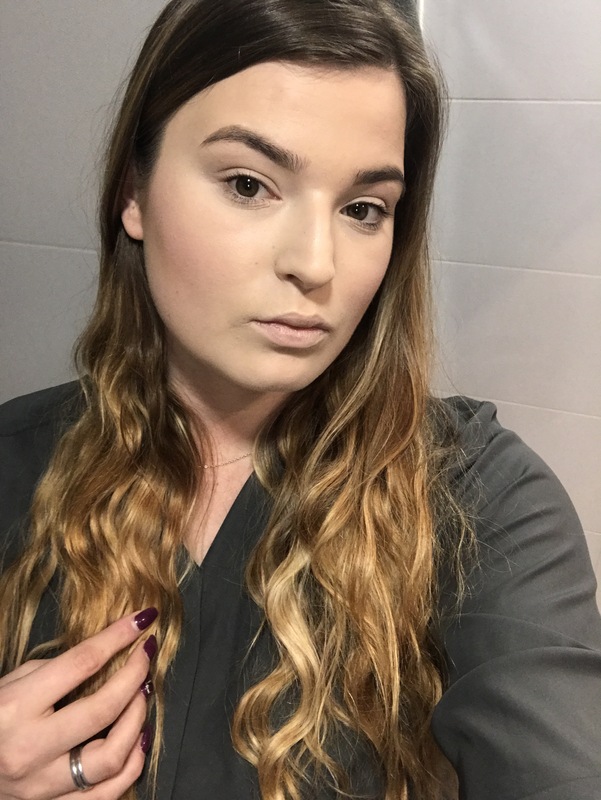 The foundation and concealer make good base for other products on face. They look nice together. 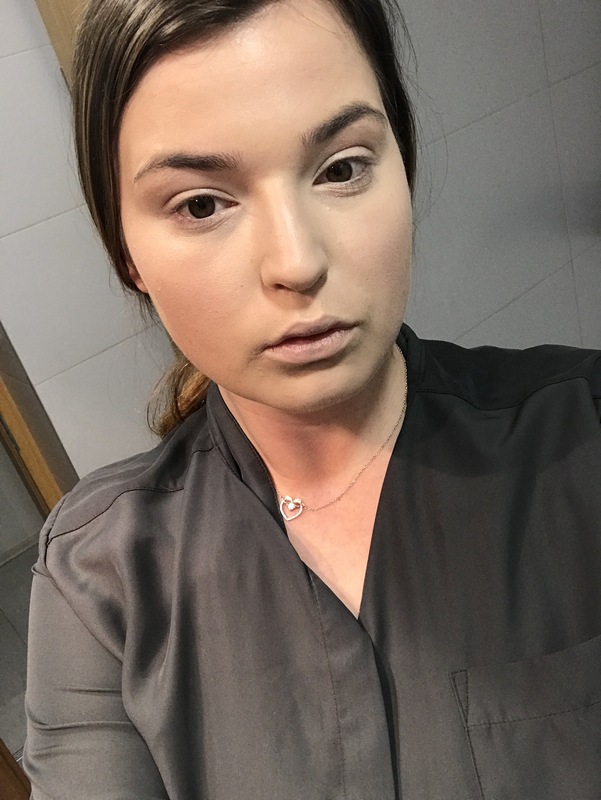 Foundation can lare and it lares good also the concealer has covered up my dark circles. Love them two. All products together. I think it looks amazing. I love this foundation for long days! It is a win. After my Fit me. I needed something fresh and not that liquidy. I’ve never tried either but they look really nice on you- glad you found something you like so much and at such a good price! You encourage me to try using different brand cosmetics to create a look. I usually buy everything from the same cosmetic company. Right now Jordana is my favorite for the price and quality. I should try using Jordana lipsticks with Wet ‘n’ Wild shadows. Sometimes it is too easy to rely on one brand because everything will coordinate. But to be creative you have to go outside the box. You are doing such a good job. One day your addiction may become a second profession–like writing about make-up for a local newspaper or giving consultations to private clients. 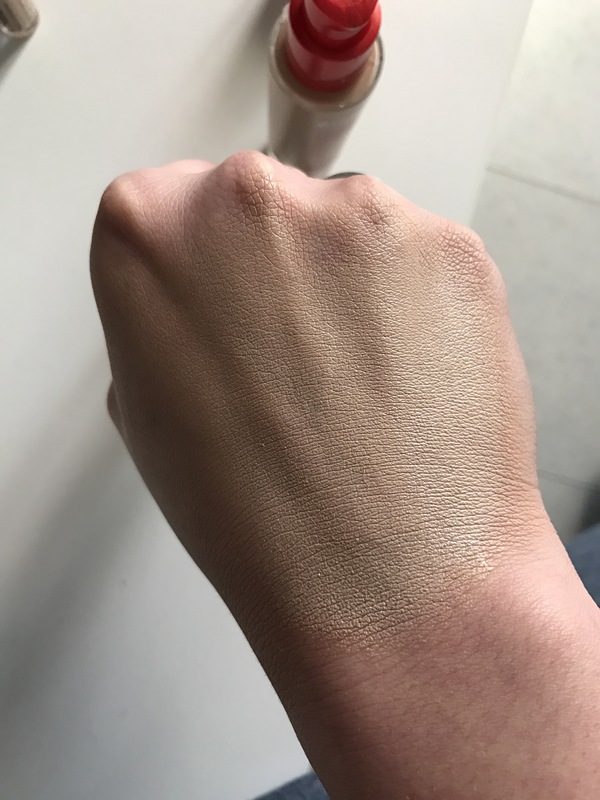 As I’m looking for a new foundation, do you think this one would be too drying as it’s matte?